Have you always steered away from SMS poems because you thought you weren’t a poet? Never fear. Everyone has a poet hidden somewhere deep inside them. As tempting as it may be to cherry pick famous romantic poetry from the internet to please your honey, nothing can compare with poetry that comes from you, straight from your heart. 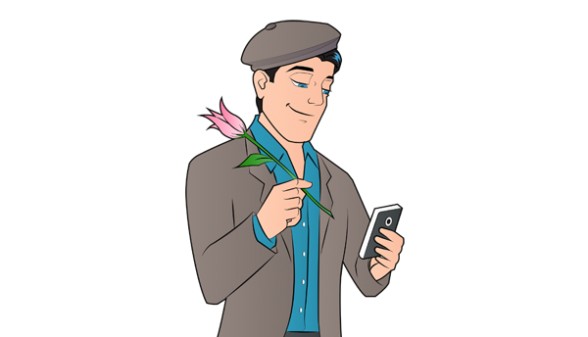 If you are ready to take the plunge, then read on for some helpful tips on how to start writing SMS poems for your special someone. When it comes to poetry, keep your SMS poems short and sweet. If you need more space, try breaking the poem into two or three messages. Be careful where you separate the text, so the overall message that you’re trying to convey is not jeopardized. If you feel inspired to write something substantially longer, then choose another medium, such as a beautifully handwritten poem using calligraphy pen and nice paper. The final touch for this old school option? A carefully chosen picture frame and some special wrapping paper. Pick a topic as a framework for your poem. For example, think of your sweetie’s smile. What does it look like? How does it make you feel? Everything should support your topic in some way. Focus not only on what the words mean, but how they look and sound. Judge the strength of the words you have chosen by how they stand up alone as well as how they fare when they are nestled up next to other words in the poem. Use an online thesaurus; they are a fantastic resource for finding just the right word. Colorful words that paint an image are wonderful such as enticing, refreshing, lush. Read your poem out loud to yourself. It is important to listen to how it flows. Not all poems have to rhyme. Don’t get too hung up on rhyming and forget the importance of the subject. Sure this poem rhymes, but is it really the deep message you would like to convey? Don’t expect to crank your poem out in just a few minutes. Finding the right words and images is hard work – and the effort you put into it is what makes it so special. Have fun! If you don’t enjoy it, find another approach for sharing your passion and feelings with your special someone. For example, try sending photos you’ve taken, or sharing some of your favorite music. SMS poems are a unique way to shower your partner with a dose of the real you. In our busy lives, writing from the heart provides a rare opportunity to let our creativity run wild. 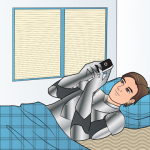 Open up your creative floodgates and try writing your own SMS poems.  If you are looking for tons of creative ideas and tips on how to crank up the passion and romance in your relationship, then check out TEXT WEAPON – French Seduction Made Easy. It has over 2,000 text templates in 15 different categories to get your mind racing with romantic ideas that will get your partner’s heart pounding with passion.